“In classes…I want to stay there forever! 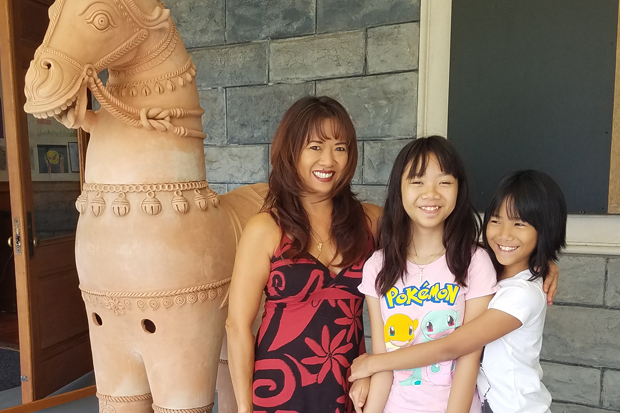 I want to experience all animation, manga and anime,” says Malie Johnson (pictured above, left), 10, about taking a cartooning course at the Honolulu Museum of Art School this past summer. She and her sister Jasmine, 8, were awarded Art School scholarships. Their mother Jadine Johnson, who has her own graphic design business creating custom license plate frames, banners and stickers, found out about the scholarships through the museum’s weekly enewsletter. Malie and Jasmine with their mother Jadine, who encourages their art education. Malie has been drawing cartoon characters at home for years, and has been waiting to be old enough to take the cartooning class, which is open to students in grades four to seven. “She was so excited when she got in,” says Jadine. Attending the Art School “has definitely enhanced their artistic skills,” says Jadine. 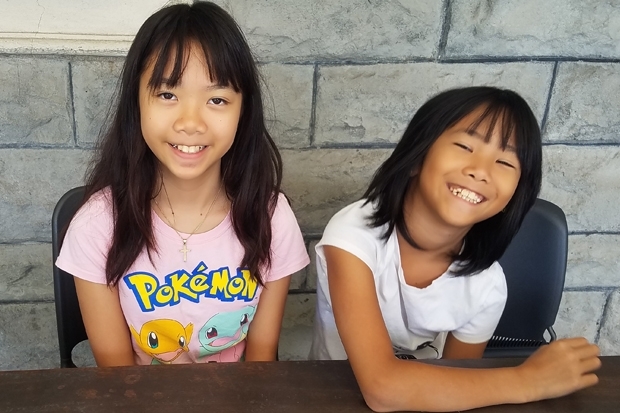 The sisters attend Waikiki Elementary, which participates in the University of Hawai‘i Uehiro Academy for Philosophy and Ethics in Education’s p4c Hawai‘i program (Philosophy for Children). The Art School in turn partners with the innovative education approach. So every other Tuesday Waikiki Elementary students take a shuttle bus to the Art School for a student-centered session with art-making session followed by an art-related discussion session with their counselor Dr Toby Yos. Spring semester youth classes start Jan. 27! Do you know a child who could benefit from a scholarship at the Art School? We are accepting scholarship applications Nov. 1 to Dec. 1. For information on how to apply, call 532-8709 or download the application, complete it, and send it in. Art School scholarships are made possible by the generosity of these scholarship funders—Phyllis G. Glick Endowed Fund, Dorothea Girton Chandler Endowed Fund, Jonathan Yen Chan Ching Scholarship Fund, The Peter G. Drewliner and Charles E. Higa Endowed Fund, Clarence & Elsa Lee Scholarship Fund, and the Jhamandas Watumull Family Endowed Fund.